Offering you a complete choice of products which include mild steel forgings. In order to meet the diverse demands of clients, we are offering an unparalleled range of Mild Steel Forgings. 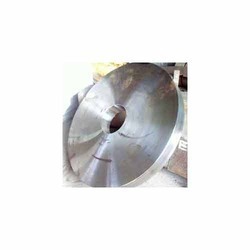 These mild steel forgings offered by us are applicable in different areas such as petrochemical, oil refineries, chemical processing and allied. In addition to this, the offered range is designed using premium grade mild and carbon steel, procured from reliable vendors of the market. Looking for Mild Steel Forging ?